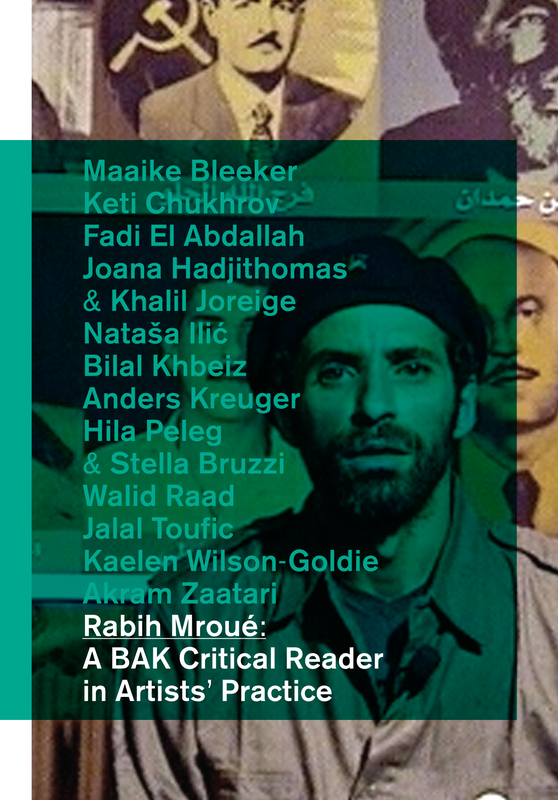 The inaugural publication in the BAK Critical Readers in Artists’ Practice Series, Rabih Mroué: A BAK Critical Reader in Artists’ Practice examines the work of Mroué (born 1967), an actor, director, playwright, and artist based in Beirut, whose complex and diverse practice spans disciplines and formats such as music, performance, theater, and visual art. As one of the key artistic voices in Lebanon and beyond, Mroué’s work explores how varied modes of art can open up a space of possibility in connection to civic and political imagination. With contributions by: Maaike Bleeker (art historian, Utrecht and Amsterdam); Keti Chukhrov(theorist, Moscow); Fadi El Abdallah (poet and jurist, The Hague); Joana Hadjithomas & Khalil Joreige (filmmakers, Beirut); Natasa Ilic (curator, Berlin); Bilal Khbeiz (artist and poet, Los Angeles); Anders Kreuger (curator and writer, Antwerp); Hila Peleg (curator and filmmaker, Berlin) & Stella Bruzzi (media theoretician, Warwick); Walid Raad (artist, New York); Jalal Toufic (artist and writer, Berlin); Kaelen Wilson-Goldie (art critic, Beirut); and Akram Zaatari (artist, Beirut).